Let’s get one thing straight. 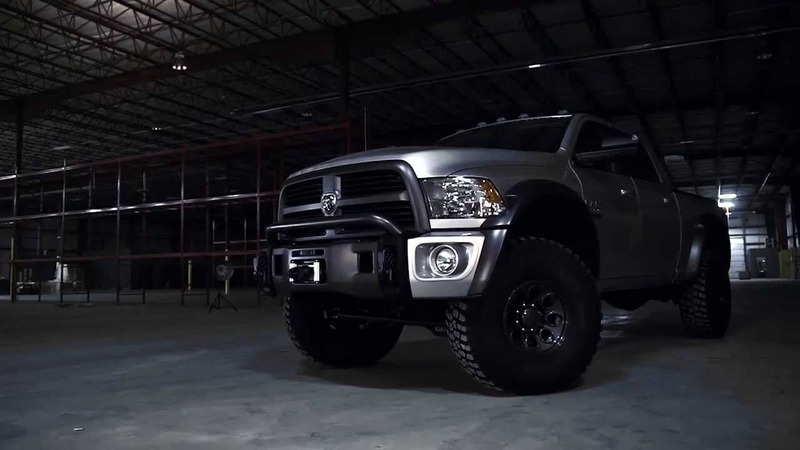 The AEV Dodge Ram heavy-duty concept truck is a great looking truck. A muscular, lifted vehicle with a sinewy modular grill, this truck means business. When it debuted as a concept build at SEMA in November, it was praised for being a rare combo of aggressive off-road power with intelligent, responsive handling for pavement and a terrific ride. It can also haul a boat out to the lake. This is a serious truck. We tend to trust AEV, the Detroit-based company which has been modifying rugged off-road vehicles for more than 15 years. AEV began as a Jeep Wrangler partner, perfecting the 4WD design and creating a smooth ride for those who wanted a lifted truck. Now they’ve brought their expert engineering and brutal road testing to Dodge for a truck that can handle the long haul on and off-pavement. Four-wheeling enthusiasts and real outdoorsmen won’t have to compromise if this concept goes into production. So you’re looking for a truck with heavy load towing capacity and big cargo capability, as well as being tough and burly enough to handle rough off-road situations. AEV assures us that this truck is your “complete package”. A truly unique stamped 3/16 steel front bumper ready to support a winch (12,000 lbs – 16,500 lbs, on 1/4 steel winch mount). Instead of looking like a toy or a model from a video game, this truck looks ready to rumble and feels fantastic to drive. When the zombie apocalypse comes, or when our mountain vacation is calling, this is the Ram we want to be in.